Posted March 11th, 2019 by James May & filed under Circles. Thank you for attending my presentation at TESOL 2019. As promised, here is the outsourced memory for our session. If you have any additional questions, please feel free to send me an e-mail or hit me up on Twitter. 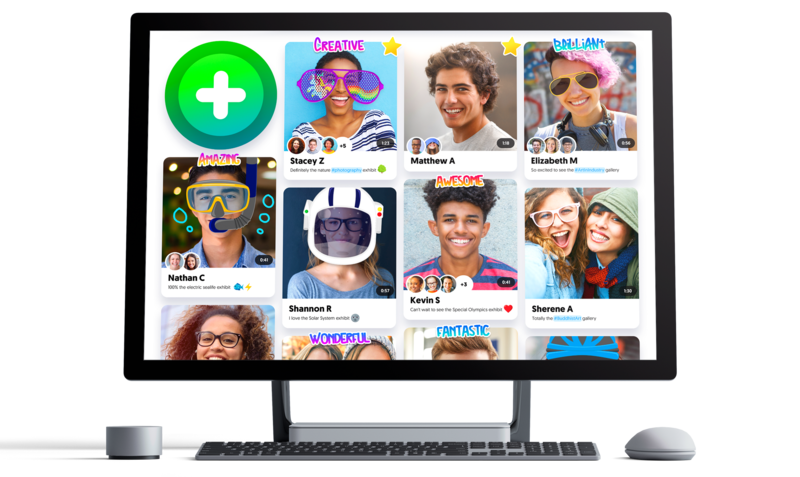 Flipgrid is an easy-to-use video response platform where educators can have online video discussions with students or other educators. Teachers can provide feedback to students and better yet students can provide feedback to one another. Simply download the flipgrid app on your phone/smart device and enter TESOL2019 as the Flipgrid code. 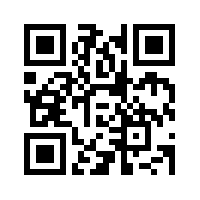 Or you could simply scan this QR code, or click on any of the links below. Click here or on the green plus button to the right to try out Flipgrid. The grid I created for TESOL 2019 currently has two topics available. The first topic asks, “How do you Flipgrid?” Go ahead, please share how you Flipgrid or how you might want to Flipgrid in the future. The second is an example of a moderated Q & A flipgrid. This grid allows you to ask questions privately. You can post, but only I will see and respond to your posts. Discussions – Rather than having a traditional text-based discussion board, why not have a video discussion. Let your English language learners practice their listening and speaking skills in a variety of ways. Teach Backs – Want to know if a student has acquired a skill? Have them teach it back to you. Let them use their (or their parents) phones or smart devices to teach back any number of ideas. CATs – Classroom Assessment Techniques, also referred to as CATs, are strategies educators use to gauge how well students are comprehending key points during a lesson or a course. The techniques are meant to be a type of formative assessment that also allow teachers to make adjustments to a lesson based on students’ needs. Here is a list of 50 ideas for you. Office Hours – Back in 2008, I made this video commenting on Digital Shift and making fun of the fact that students never seem to show for office hours. Well that is no longer the case. My students will come to office hours, when I open virtual office doors. I use a moderated Flipgrid to allow students to ask questions. Then only I can see and respond to the student questions. Want to give it a try? Click here. Screencastify – Screencastify is a free in browser extension for the Google Chrome browser. It allows you to record video, your screen, or both simultaneously so that you can easily create screencasts for your students, or better yet, so that they can create screencasts for you. The screencasts, can then easily be uploaded to Flipgrid and shared with others. Greenscreen – Green Screen by Do Ink makes it easy to create incredible green screen videos and images right on your iPad or iPhone. The app lets you combine photos and videos from the camera roll with live images from your iPad or iPhone’s camera and has been featured in “Best New Apps in Education” in iTunes. With this app and any old impromptu green or blue background, students can greenscreen themselves anywhere in the world and share their videos on Flipgrid. Book Trailers – A book trailer is a helpful marketing tool to promote a book. Adapted from the term movie trailer, a book trailer is a short promotional video that lets students see what a book is about before they choose to read it. Students can use their computers, smartphones, or smart devices to record and share book trailers via Flipgrid. Teachers/schools can then build video libraries of book trailers that were written and directed by students. Here is a video to help you learn a little more. Chapter Reviews – Use Flipgrid to invoke a little retrieval practice before class. If you are giving students content to read/learn, why not ask them to make Flipgrid chapter reviews, these can be grouped, moderated or assigned to individuals. I prefer using the Sherlock Journaling method and assigning roles to students. Sherlock (The questioner, devil’s advocate, researcher), DaVinci (the illustrator draws or finds a picture to represent the learning) Webster (the lexicographer defines the key concepts), etc. FaceSwap – Face Swap Live lets you switch faces with a friend or a photo in real-time. Record videos or photos of yourself swapping faces with a celebrity, friend or any fun picture from the internet or your phone. Why give a presentation of Abraham Lincoln when you can give a presentation as Abraham Lincoln. Once saved, these videos can be uploaded to Flipgrid. The incredible Educator’s Guide to Flipgrid eBook (now available in three languages) is packed with tips and tricks for amplifying #StudentVoice! Explore this collection of age- and subject-specific Flipgrid Integration Docs. Each includes use case ideas and Disco Library Topics you can add to your Grids! Come join our #GridTip Party, where we dive deeper into best practices for using Flipgrid and highlight unique ways you can engage learners with Flipgrid.